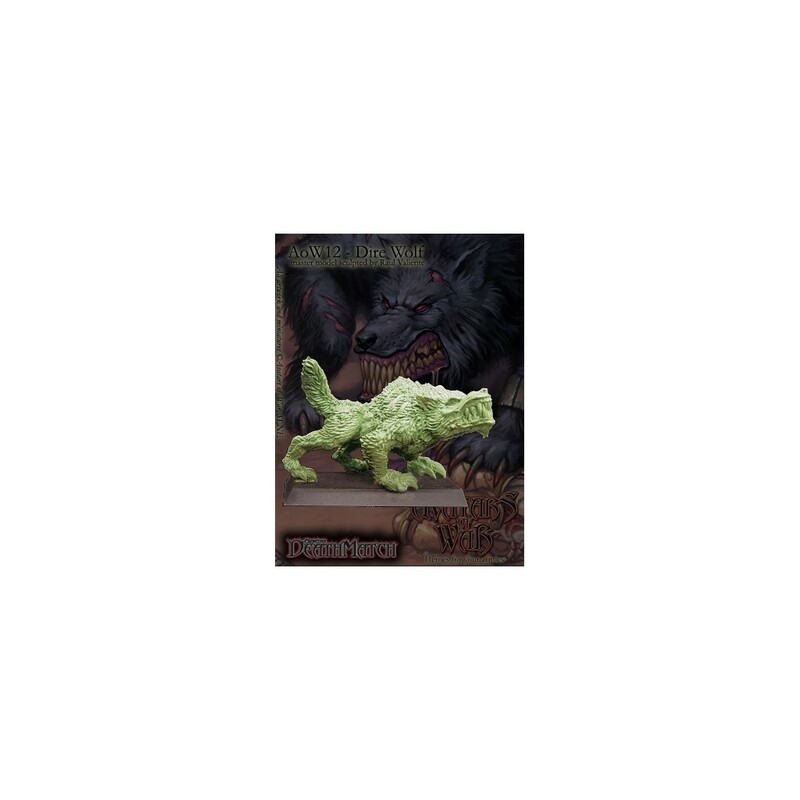 This blister pack contains a 28mm resin figure, to mount and paint. Five feet tall and five hundred pounds these gargantuan wolves from the Dire Mountains are methodical killers and suprisingly fast given their size charging and leaping across obstacles to ravage the unfortunate that sparked their bloodlust. 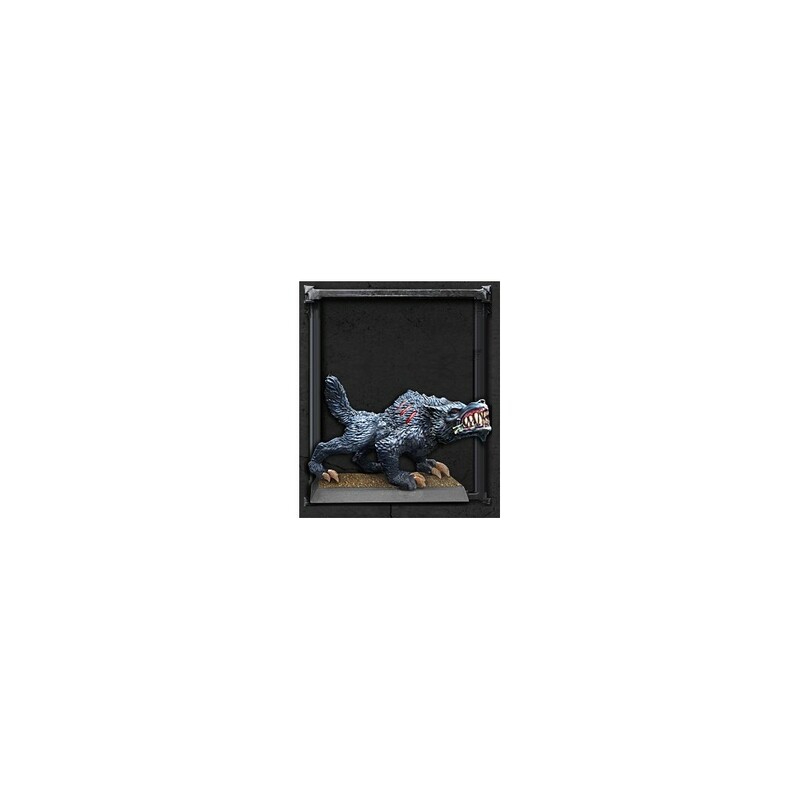 This blister contains one plastic resin Dire Wolf. Contains also a 25x50mm plastic square base.